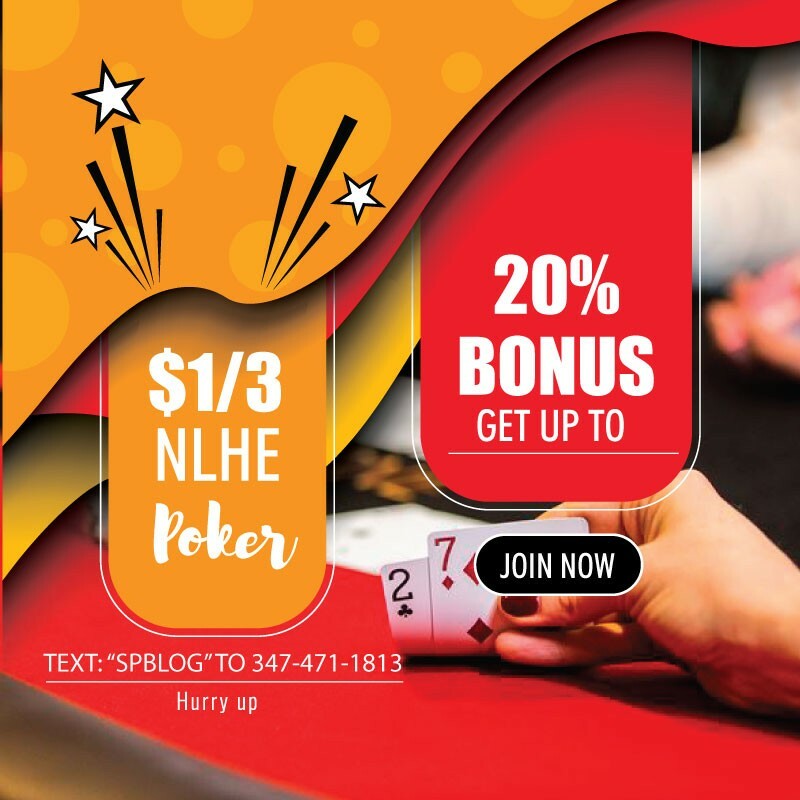 This poker room offers low stakes poker for a diverse group of NLH players. All are welcome! RSVPing is a must because you might not get a seat at the table. We have about 30-40 players who come and play daily! We are looking for professionals poker players who like to play for several hours at a time. We have added a professional touch to the home game experience. Our staff is dedicated to running a clean and safe low-key cash game. $2/$5 No Limit Holdem. Daily. Minimum $500. $40 Bonus for first 9 player. A bonus is like a coupon, if you don’t say anything you are not entitled to the bonus. 10% Early Bird Bonus – Must be seated within one hour of opening. If you’re a poker fan, Join NYC’S best poker game. Text “SPBlog” to 347-471-1813 with full name, email & occupation for more info.